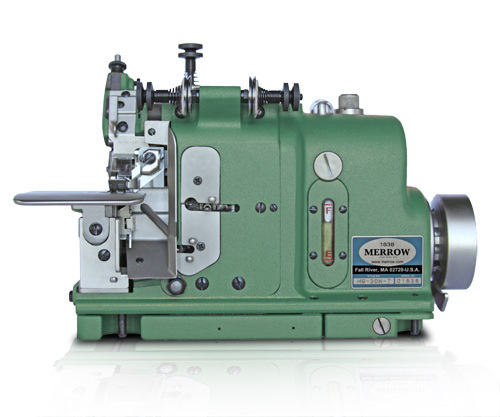 The MG-3D is a version of one of Merrow's MG Class Hemming Machines that has been modified for specific use on heavy wool blankets. The MG-3D sews a standard 1/4" seam which can be adjusted according to application requirements. The MG-3D is a durable overedge sewing machine from Merrow. 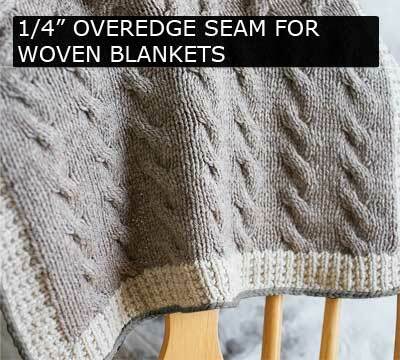 It sews a 1/4" stitch on thick material and is especially suited for edging heavy wool blankets. 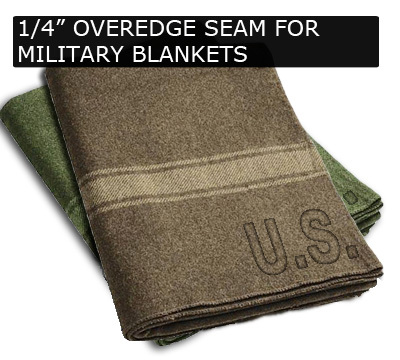 The Merrow Overedge Seam for Heavy Wool Blankets is a resilient stitch that holds up to the construction standards set forth by the U.S. government in Specification MIL-B-844 for military blankets. The MG-3D is also used for fireproof FEMA blankets, and is adept at sewing thick thread on heavy material. The MG-3D has a swinging edge guided to limit the amount of material being trimmed, and to aid the operator in producing a straight edge. It has added height between the needle plate and presser foot to accommodate thick material, and a coarse feed system to make handle dense wool fabric. The MG-3D is used in production facilities around the world that manufacture blankets. 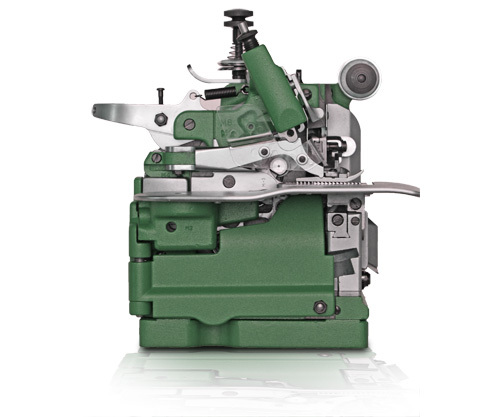 Because of its quality engineering and construction, the MG-3D is the overseam sewing machine of choice in environments where downtime must be minimized. We will build out a custom machine, at no charge, and sew your material off on the MG-3D (or other machine if appropriate). If you would like a video of the process we will provide this along with the sewn sample.